CKX, the makers of the widely popular Titan helmet, has expanded their line-up to include the new Mission full-face helmet. Key to its design is the (patent pending) AMS - Air Management System. Unlike the popular BV2S, the Mission helmet is a mask-less design that relies on rearward facing ducts to vent unwanted heat and moisture from the rider preventing fogging of the face shield. 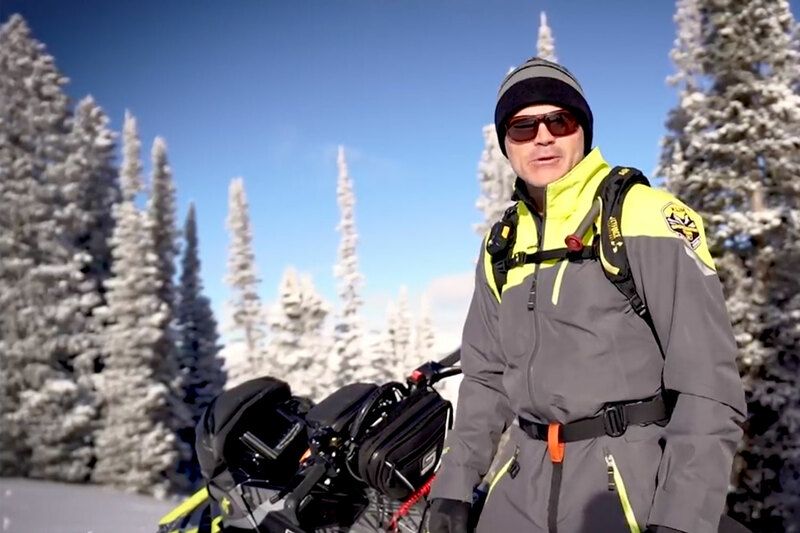 The face shield features two vent openings and its oversized design provides a panoramic field of vision, which in our experience is only matched by Ski-Doo’s new Oxygen helmet. Top marks need to be awarded to the crystal clear clarity of the face shield. One might expect some distortion with such a wide view, but the optics is so good it seems like the face shield isn’t there. A retractable sun visor, which is activated by a lever located on the top left area of the helmet, also comes as a standard feature. The enduro inspired removable peak is adjustable to account for the suns location when wanting to cut additional glare and the sleek design does a great job at channeling air-flow when running down the lake or a long wide trail at high speed. Another key attribute to the design of the Mission helmet is the enhanced noise reduction thanks to the cushioned ear pads. For those that want to reduce noise from the outside environment including the snowmobile the Mission helmet does an excellent job. Available in a wide variety of colours, finishes and composite construction materials the Mission helmet retails in Canadian dollars between $549.99 - $749.99 for the non-heated double lens shield and $649.99 - $849 for an electric double lens.